You are here: Home / Blog / Doors / What Door is Right for Your Home? 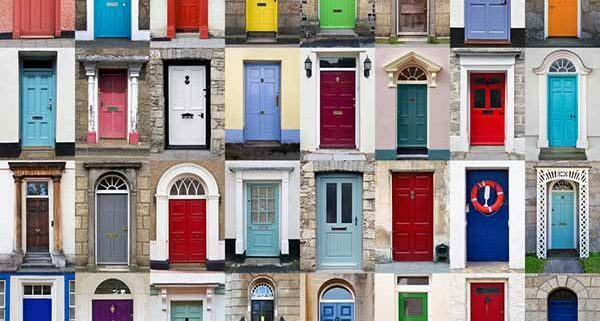 What Door is Right for Your Home? 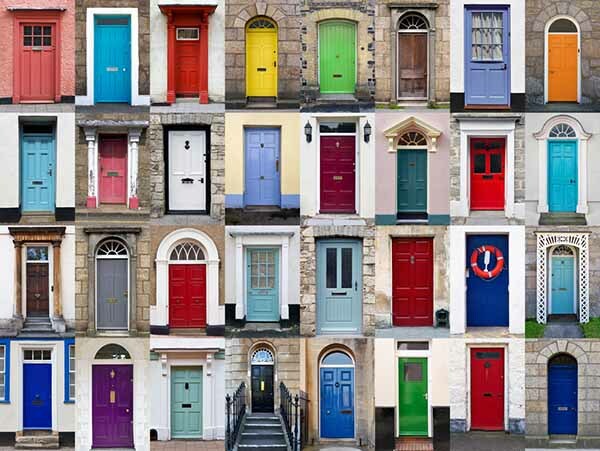 Are you stumped when it comes to doors? We’re not surprised! Today’s homebuilders, renovators and extenders are spoiled for choice. With so many options out there, it’s quite easy to get overwhelmed. That’s why we’ve come up with this handy blog – to take some of that stress away. Let’s take a look at how you can choose the right door, or doors, for your home. Your choice of front door is an important decision. After all, it’s the first thing people will see when they come to visit. So to make sure you impress your visitors, don’t make this decision lightly. Once you’ve figured out your budget, let’s move onto the next point. This is an important choice and it will directly affect the performance of your door. You’ll have a choice between wood, steel and fibreglass. You may also wish to add decorative glass, but this might mean some extra expenses. Wood provides a natural, rich beauty. This will give your front door a classic, timeless aesthetic. You’ll have a rich choice of timbers, panel styles, embellishments and staining options. A steel door comes suited for those doing this on a budget. Steel doors are affordable, but they’re also durable. They won’t crack, warp or dent. Steel doors can also come insulated to help with those energy bills. Fibreglass can come manufactured to imitate wood or a smooth panel if you prefer. Fibreglass is a high-performance, energy-efficiency and eco-friendly option. They’re also dent resistant and won’t rust or corrode. It’s important to pick a door style that is going to suit your home. For example, if you have a classic architectural style sliding glass Patio doors probably aren’t you best option. But a sleek modern property may suit sliding security doors. Whatever type of door you decide on, you want to ensure that you, and your family, are safe. That’s why we also recommend installing a security door or screen over your choice of door. You’ll also need to think about your back door. Your main choices will be French or Patio doors. For more information about the difference between these two doors, check out this handy blog. Install a New Door Now! Need a new door? Greg’s Glass can design and install a sliding door to suit your home. We can also install Vantage Windows, too! Please don’t wait – contact us today. https://www.gregsglass.com.au/wp-content/uploads/2016/12/Doors-for-a-house.jpg 451 600 Daniel https://www.gregsglass.com.au/wp-content/uploads/2015/06/logo.png Daniel2016-12-08 01:30:592019-02-15 08:58:03What Door is Right for Your Home?